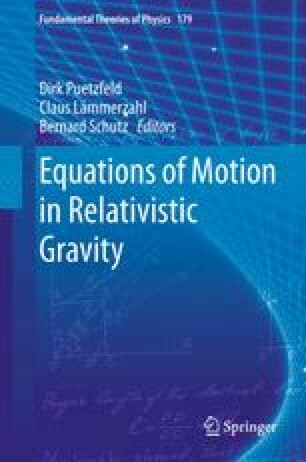 This article serves as a pedagogical introduction to the problem of motion in classical field theories. The primary focus is on self-interaction: How does an object’s own field affect its motion? General laws governing the self-force and self-torque are derived using simple, non-perturbative arguments. The relevant concepts are developed gradually by considering motion in a series of increasingly complicated theories. Newtonian gravity is discussed first, then Klein-Gordon theory, electromagnetism, and finally general relativity. Linear and angular momenta as well as centers of mass are defined in each of these cases. Multipole expansions for the force and torque are derived to all orders for arbitrarily self-interacting extended objects. These expansions are found to be structurally identical to the laws of motion satisfied by extended test bodies, except that all relevant fields are replaced by effective versions which exclude the self-fields in a particular sense. Regularization methods traditionally associated with self-interacting point particles arise as straightforward perturbative limits of these (more fundamental) results. Additionally, generic mechanisms are discussed which dynamically shift—i.e., renormalize—the apparent multipole moments associated with self-interacting extended bodies. Although this is primarily a synthesis of earlier work, several new results and interpretations are included as well.